Josh O’Brien, bartender at The Bowery in Brisbane and cocktail competition fiend, chatted to Drinks World’s Lukas Raschilla about how he went from teaching to bartending, competitions, and how he finally made it through to the Most Promising stage of Bacardi Legacy Australia – showing persistence does pay off. Drinks World: Can you tell us a little about how you started in the industry? Josh O’Brien: I moved over to England to work as a teacher and was struggling to find constant work, so I walked into one of the clubs and asked if they had any jobs going and they put me on as a glassy. Two months later, in a hectic night we were understaffed and deep in the weeds and they literally threw me in the deep end and handed me my first bar blade and said, “Time to shine Aussie.” After that night I knew this was something i wanted to pursue. As a result I’ve had the chance to see some incredible places all over the world and meet amazing people. DW: This is the first time that you have progressed to the Most Promising stage of Bacardi Legacy, having entered each year since its inception in Australia. 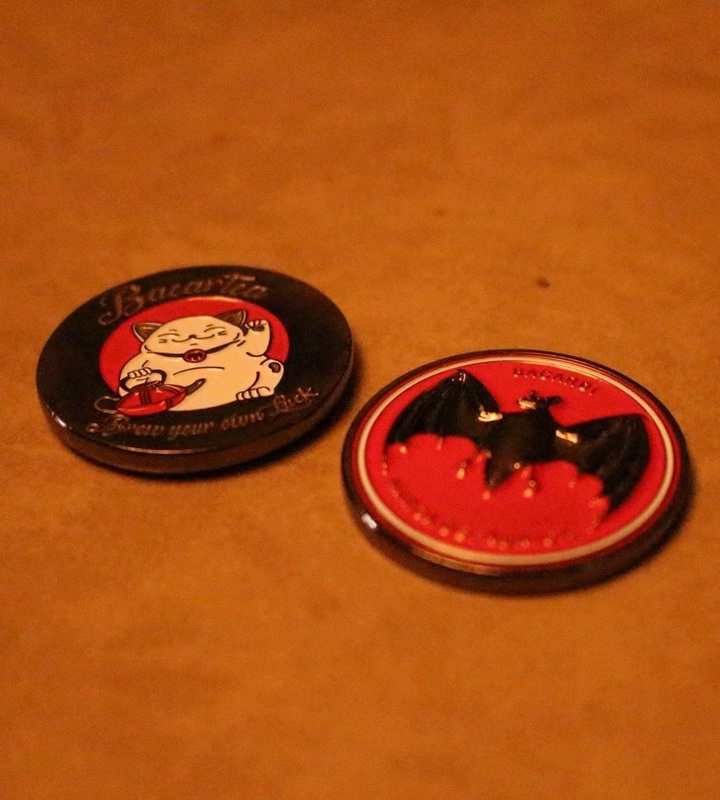 What was it about Bacardi Legacy that kept enticing you to enter the competition? Did you learn more with each entry? JO: Every bartender wants to make their own mark. No matter how big or small they dream. Legacy gives you the chance to showcase not just your drink creativity, but who you are as a person and your story. The competition has evolved since its inception here in Australia, and like the competition, as a bartender I have also evolved. Learning new skills, more flavour combinations and a deeper understanding of what the Bacardi Legacy truly is. DW: You have entered a number of cocktail competitions around the country. Can you tell us about the first competition you entered, and what you took away from that experience? JO: I remember the first competition I ever entered. A shocking combination of flavours, but hey at least it looked fancy. No shock that it didn’t make it to the next stage, but my manager organised for me to attend the presentation round. I just remember watching these bartenders spin deep stories that paired with their ingredients and realising the error of my ways. DW: What do you enjoy most about entering cocktail competitions? JO: I like building a cocktail to a breif. In a job where the sky is truly the limit to what you create, its nice to rope that in sometimes. Also the presentation. Sharing your story of why and how it all works and why you got to where you are with the cocktail with a room of people who do the same job you do for a living is a special experience. 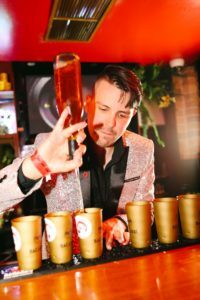 DW: With some competition experience under your belt, has your approach to entering cocktail competitions changed at all? JO: I’ve come along way from the drink covered in flowers with layered colours. I now choose to find something people can relate to within the brand and their own lives and showcase that. 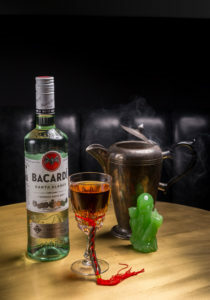 DW: For the first time this year, bartenders were able to use Bacardi Ocho for their Legacy entries. Which expression of Bacardi did you decide to work with and why? JO: The ocho was a great addition this year. And in early development of my drink I was working with it before changing to what I have now as a drink. I ended up using the Carta Blanca as it has subtle vanilla and fruit notes that really promote the other flavors in my cocktail. DW: What was the inspiration behind your Bacardi Legacy cocktail entry? Can you tell us a little about your creation? JO: The whole concept of my cocktail, the BacarTEA, was luck and good fortune. From Bacardi using the bat, which is a symbol of good fortune in their culture, to travelers from the orient bringing lucky birds with them on the voyage. My drink brings two cultures together by pairing the iconic Bacardi Carta Blanca and chai tea. With the addition of apricot brandy as a binding agent, the subtle vanilla and fruit flavours found in chai and carta blanca just explode. 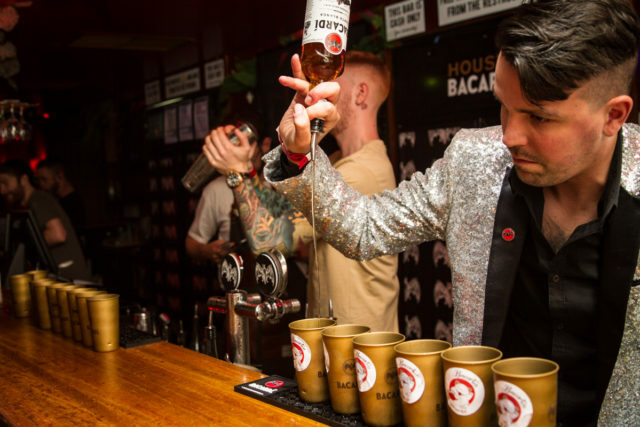 DW: Why should bartenders enter Bacardi Legacy? JO: It’s a great platform for the bartender community to not just see your creativity, but who you are and what your values are. It’s a lot of hard work, but it makes you realise why you do what you day in day out. DW: You had some BacarTEA coins made on the lead up the the Legacy Grand Final, can you tell me a little bit about the coins and the inspiration behind them? JO: I used them as my take on the lucky talisman. They were also used as social media content. People posting pictures of them in their venues or at home showing that you can take your luck anywhere. The Bacardi Legacy Australian Grand Final takes place in Sydney on February 7.